Kristjana Gunnars is a Canadian writer who was born in Iceland. 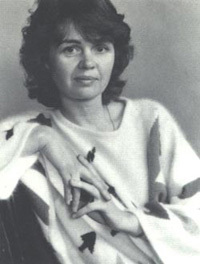 She is best known for her post-modern novels, including The Prowler and The Substance of Forgetting, as well as a prolific body of poetry and experimental writing. She taught creative writing at the University of Alberta from 1991 to 2004.